As new data indicated that crude supplies had once again climbed substantially, US markets went into freefall. The Dow generally traded sideways until the extent of the oil price decline became more pronounced, but then proceeded to fall from the previous day’s close of 20,924 points to a low of 20,836 points before recovering slightly to close at 20,855 points. 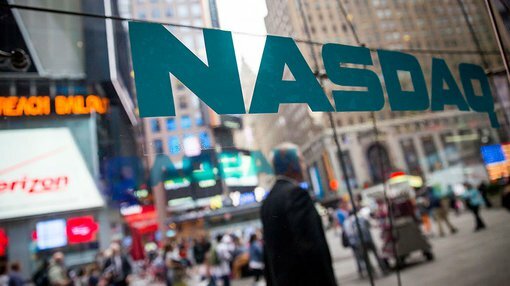 The NASDAQ gave up all of its early gains as well. After increasing from the previous day’s close of 5833 points to a high of 5861 points, the index finished at 5837 points. Better than expected new jobs data in the US had a positive early impact on markets both in the US and Europe, but the news also reaffirmed the likelihood of a Fed rate hike, tempering gains in Europe. The FTSE 100 fell 4 points to close at 7339 points. There were also only nominal movements in mainland European markets with the DAX unchanged at 11,967 points and the Paris CAC 40 gaining five points to finish at 4960 points. The big news on the commodities front was obviously oil as its decline extended throughout afternoon trading in the US to more than 5%, plummeting to an intraday low of US$50.05 per barrel. Gold extended its losses for the week, falling 0.6% to US$1209 per ounce, a level it hasn’t traded at since the start of February. Only a week ago the precious metal was trading in the vicinity of US$1250 per ounce. Negative sentiment rubbed off on the prices of most metals with iron ore falling nearly 3% to circa US$87 per tonne. Base metals were mixed with nickel falling substantially from the previous day’s close of US$4.81 per pound to US$4.61 per pound, representing a steep decline of approximately 4%. Copper was relatively flat while zinc and lead made slight ground to finish at US$1.22 per pound and US$1.02 per pound respectively. The Australian dollar fell 0.7% to finish at US$0.753, indicating that it could be retracing to mid-January levels of circa US$0.75.